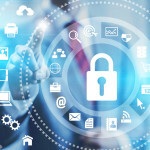 Gene Dodaro, U.S. comptroller general and head of the Government Accountability Office, said during a Senate subcommittee hearing that one of GAO’s priorities in fiscal year 2020 is cybersecurity, Federal News Network reported Friday. He said GAO expanded its cyber workforce from 140 to 175 employees this year and needs more resources to meet lawmaker requests around cybersecurity. The U.S. Mint, a bureau of the Treasury Department, selected the Unisys Corporation as one of five companies to compete for task orders under a five-year, $70 million contract that calls for IT services supporting the agency’s mission, Unisys announced on Friday. Charles Rettig, commissioner of the Internal Revenue Service, said the agency needs $2.3 to $2.7 billion in additional funds over the next six years to execute its information technology modernization plan, FCW reported Thursday. He told the Senate Finance Committee Wednesday the funds would help the IRS comply with the 2017 tax reform bill, Affordable Care Act and other laws that demand IT transformation. The U.S. Army Contracting Command selected the Unisys Corporation as one of 50 large companies to compete for task orders under a potential nine-year, $12.1 billion contract to provide IT services to all Army organizations, Unisys announced Thursday. Senators Mark Warner and Cory Gardner and Representatives Derek Kilmer and Michael McCaul unveiled a bicameral and bipartisan bill pushing local, state and tribal governments to boost cybersecurity and threat defenses. 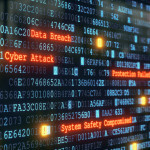 The State Cyber Resiliency Act allows the Department of Homeland Security to create a grant program to modify, apply and develop measures against cyber threats, the office of Sen. Mark Warner said Monday. 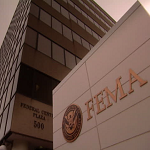 The Federal Emergency Management Agency has not fully implemented steps to modernize its grants management operations, according to a Government Accountability Office report released Tuesday. The U.S. Navy wants to appoint a new assistant secretary who will lead coordination with the service’s industrial base and efforts to protect U.S. networks and deter adversaries in cyberspace, USNI News reported Tuesday.